Arlington’s largest dance club and live music venue draws hundreds of fun-seeking young professionals Thursday through Saturday for Dewey-friendly cover bands and DJs spinning hip-hop, house, ’80s and Top-40 hits. 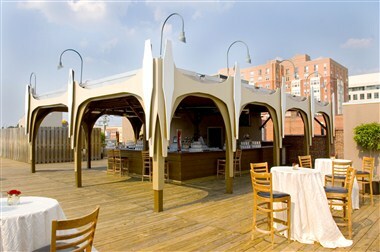 Its sweeping art-deco design, extra-high ceilings, couch-filled lounge areas and a 60-foot bar would be enough to make the Ballroom a destination, but the real draw is the enormous rooftop deck: With more than 2,000 square feet of prime hangout space, including seating and its own bar, the roof is bigger than the interiors of some nearby nightspots. Lindy hoppers take over on Tuesdays, swinging out to rockabilly and jazz.